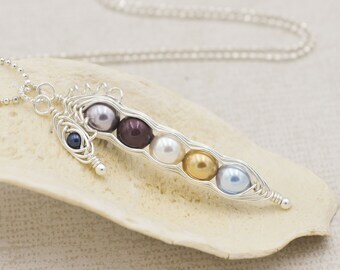 Please enter the colors and sizes (standard and angel) you want in your Sweet Pea pendant in order from top to bottom. Losing a loved one, especially a child, is something no mother should have to endure. 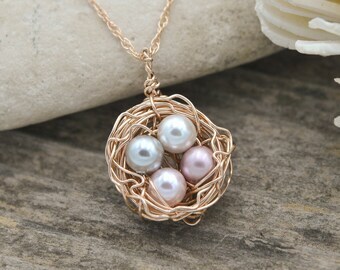 It is my hope that my memorial jewelry can bring some small comfort to a grieving mother. 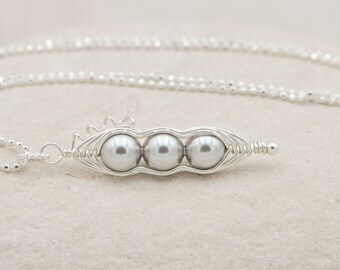 I created "ANGEL Peas" as a way to represent an Angel member of a family. Whether it was a miscarriage, stillborn loss, infant loss or a child lost later in life, every life should be remembered. 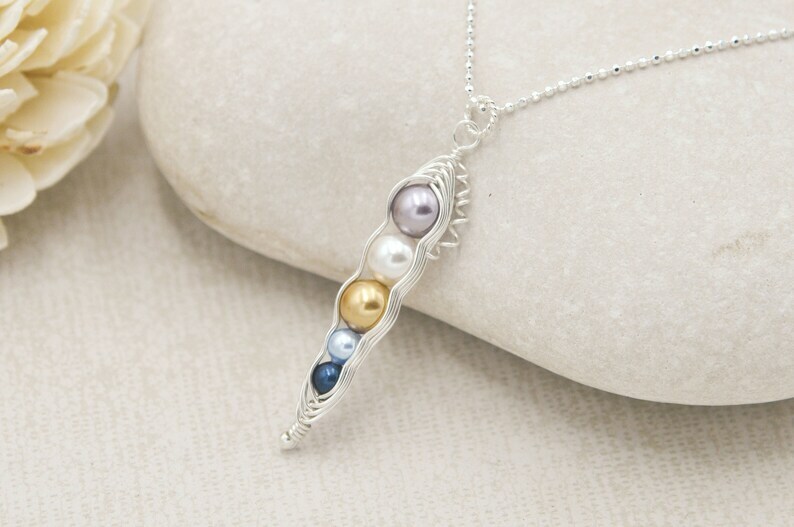 The Sweet Pea pendant can be completely customized with your choice of colors - 30 different colors available in both regular and smaller "ANGEL Pea" sizes. 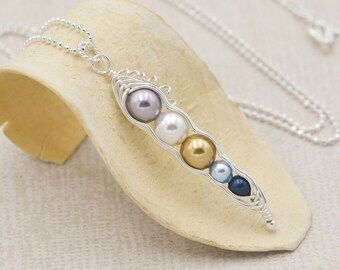 Complete the piece by adding a chain- available in 16", 18" and 20" lengths. Angel peas are smaller than the standard peas used to create Sweet Pea jewelry. They represent the ones we have lost - whether that be ones we never were able to hold, or the ones we were only able to hold for a short time. 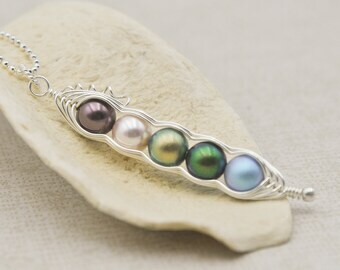 Every family member has a place to be celebrated and commemorated in Sweet Pea pendants. A place where they can all be together. All pea colors are available in both standard and ANGEL sizes. This Sweet Pea pendant can be gift wrapped in a beautiful pink damask jewelry box with a gorgeous purple ribbon. Whether this is for you or a gift for a special woman in your life, a delightful little purple package will arrive in the mail when you order a Sweet Pea. Made to order and personalized to your custom specifications, every Sweet Pea pod pendant is handcrafted with love and attention to every detail. My goal is for you to love your jewelry and wear it for many years to come, so I stand behind my work with a one year warranty against defects. Please use the buyer comments section to indicate your pea colors (in order from TOP to BOTTOM) as well as what peas, if any, you want in ANGEL size. ANGEL Peas can be added in any order you wish - whether that be at the top, bottom or between two larger peas. Make this an extra special gift with a beautiful pink damask box and purple satin bow. Perfect gift for my wife. Brought tears to her eyes when she saw it. Thank you for what you do, it provided a very special moment for our family.